RETHINKING EVERYTHING | Thoughts of a Calabarboy. 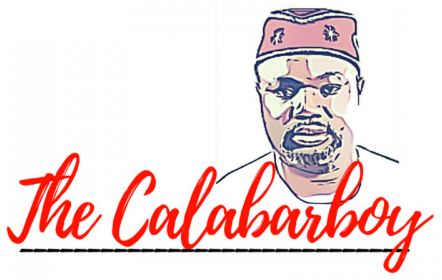 RETHINKING EVERYTHING – Thoughts of a Calabarboy. I risk sounding very simplistic, but I will go that path. Have you ever wondered about how everything you know emanated? Or have you ever pondered upon the real truth on what you presently know about the issues of life? Fret not! You aren’t alone on this. I can authoritatively tell you that most people at some point of their life question everything they know to see if they are firmly rooted on true principles worth believing, or they should carve out a new path for themselves. From our teenage years we begin a silent rebellion to the knowledge and rules that we grew up with, and some of us alter our path into dangerous territories that leave us with bad scars. Some of us successfully sieve through the muddy issues of what values we should accept as truth and which we should reject, while most of us only discover the truth after being battered by the faulty choices we made in our quest for real answers. One truth I have come to see is that everything in life has an origin. What you presently believe about anything, has its origin somewhere, either in one man’s idea, or a collective agreement by some gathering. Let me give an example. In northern Nigeria, when men want to urinate, they stoop down to do this. And I asked myself why? I researched and found out that it is a practice with Desert Nomads, who for the sake of heavy desert winds have to stoop to prevent splashes. It became a practice embedded in culture and even religion because of the conversion of these tribe into Muslims, and with their territorial expansion and overarching influence everywhere you have Muslims now, it is the common practice. There the question is would a northerner be abnormal if he stands to pee? When these men visit where you only have toilet bowls, how would they do their thing? Another example is this. In the Christian religion, we have always been told that it is a sin to drink alcohol or should I say it is perceived as unacceptable to take in alcohol. Are there no benefits in the substance called alcohol? With science showing benefits to this substance shouldn’t we be concerned with what level is beneficial and what level is dangerous? We know that even water, when taken in excess, has its side effects and this is also similar in alcohol? So how did we come about the most Churches banning the taking in of any form of alcohol? I once went for the burial ceremony of a friends dad on an empty stomach due to the early time of the day the occasion was slated. I was glad to partake of the communion that day and joyfully walked down the aisle to receive a portion of ‘Christ’s body and blood’. The problem came a few minutes later after drinking the ‘blood’. My eyes began to roll and I felt as though I had suddenly become taller or the ground had move further from me. Of course the communion wine was very alcoholic and my empty stomach did not receive it well. Did I come out of Church a sinner? I was once invited for a private 10 man birthday lunch. The celebrants husband had just returned from pilgrimage to Jerusalem and brought one of the finest Palestinian wine, which has a history back to the time of Jesus. A little taste of that wine and I knew that one full glass can magically titillate ones senses. But somehow over the years, we have been passed down the concept that it is sinful to even put your tongue to it. Is this very true? Are we really walking in the truth with all the church traditions we know of? So much for Church…. you figure out the rest. Today we have also grown up to know democracy as the most effective form of governance, because it gives more power to the people. But is this true? Does it really apply to a system of multi-ethnic people who are all scrambling for recognition and self-interest? Is democracy native to us as a people or is it a borrowed ideology from another society? Don’t we think we need a rethink on what leadership and governance is all about? What about money? Should we work for money? Should we strive to make all the money we can because we want to help other people? What of education? Is a university degree or any education at all a necessary condition for success in life? Should everyone go to a secondary school or university? Do we have to study what we do in our tertiary institutions? Questions and questions and questions? I cannot exhaust them all. But I tell you, if you try to seek the answer to these questions you may have a conclusion that defies your current belief system. I challenge you to embark on a journey of seeking answers for yourself. I will deceive myself if I say I can capture the entirety of my thoughts in this little piece. I am already experiencing a bloc in this write-up because some other things I want to mention are pretty controversial. However I want to stimulate your thought process in answering for yourself the questions that others usually answer for you. I am in the process of rethinking everything in my life to find true value in all my engagements. I cannot continue on the road whose origin is unknown to me, neither is the destination in my mental articulation. Within me I cannot afford to ignore the gently throbs for the truth on all that lies on my path. My name is Reginald, and I am rethinking everything. What a thoughtful essay. In fact many of the questions you ask, I and many of my friends have also asked….. I am sure when you find the answers to some of these bugging questions, you realize we have built our lives on many false foundations.